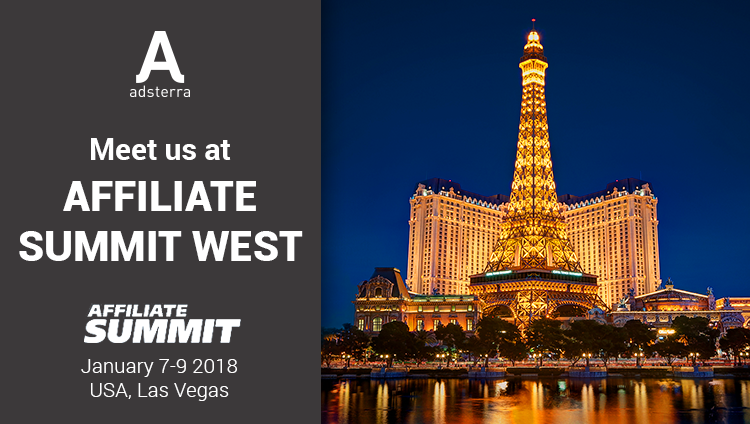 January 7-9 Adsterra is back to Affiliate Summit West 2018! The event will host over 6K digital marketers from 70+ countries in Las Vegas, USA. In 2018 the Summit takes place at Paris Las Vegas Hotel, bringing together those who are deeply committed to the digital marketing industry. With around 100 outstanding speakers to cover all the latest trends and various networking events announced there’s no doubt that’s a great chance to keep abreast with the recent developments and make useful acquaintances. 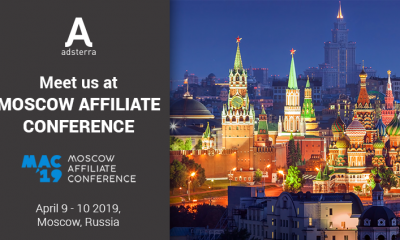 Seize an opportunity to meet Adsterra team in person to talk business. Schedule your meeting today and meet us at Affiliate Summit West 2018!